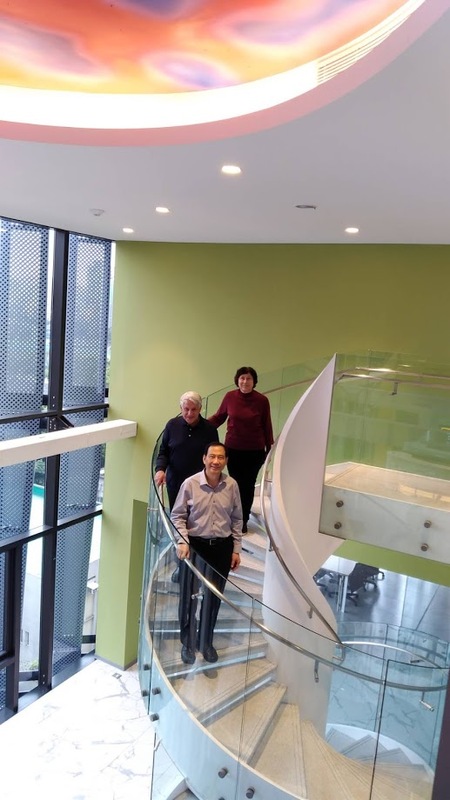 On March 19, 2019, the well-known cosmologist, Prof. Andrei Linde and his equally well-known wife, world expert on string theory and supergravity, Prof. Renata Kalosh, visited NTU Chee-Chun Leung Cosmology Hall. Both of them are Professors of Physics at Stanford University. Prof. Linde is one of the main contributors of the original inflationary universe theory as well as the theory of eternal inflation and the concept of the inflationary multiverse. He has received various awards for his work on inflation, including the Dirac Medal, the Gruber Prize, the Fundamental Physics Prize, and the Kavli Prize. Linde is a member of the National Academy of Sciences and of the American Academy of Arts and Sciences of the USA. 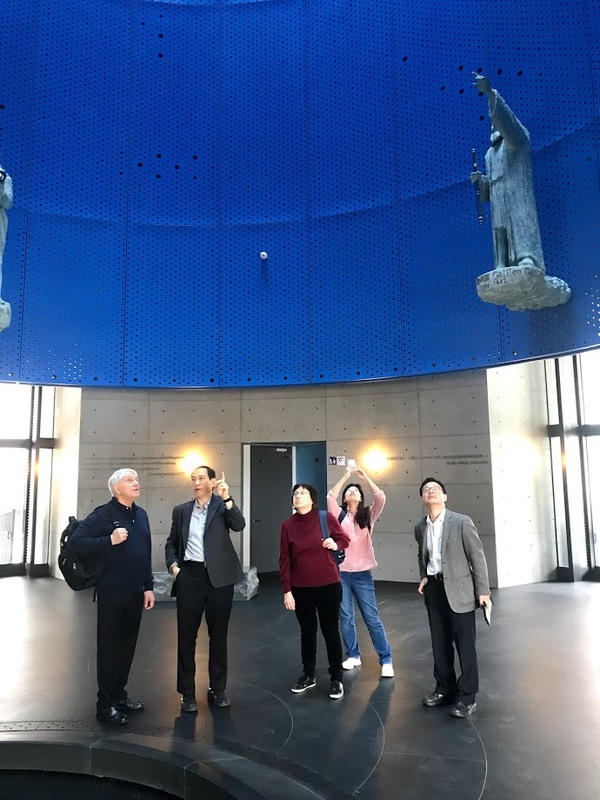 Both Prof. Linde and Prof. Kalosh were so impressed by the elegant CC Leung Cosmology Hall. Figure1. 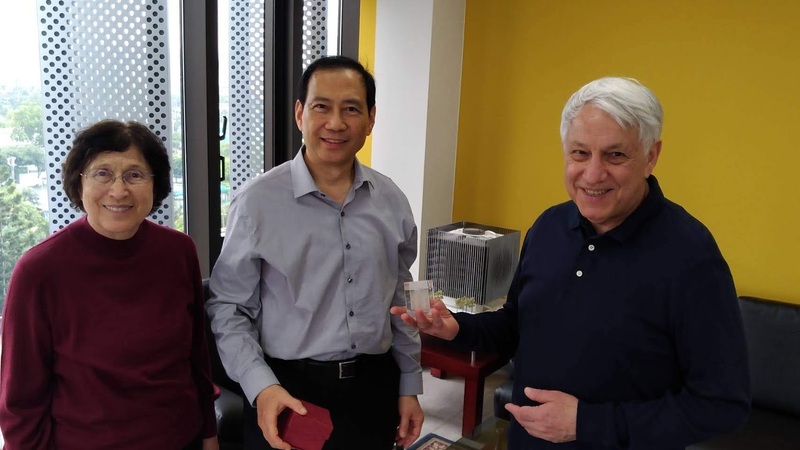 Prof. Pisin Chen presented souvenir to Prof. Andrei Linde and his wife. Figure 2~ 4. 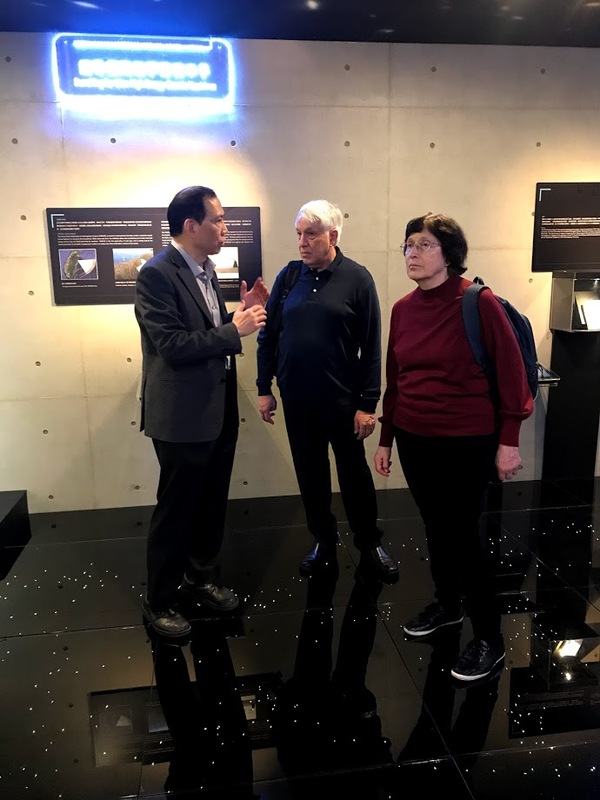 Prof. Pisin Chen showed visitors around Chee-Chun Leung Cosmology Hall.